specialty format of Reliance Retail today announced their collaboration with ace designer duo Shantanu & Nikhil at Lakmé Fashion Week Summer/Resort 2013 as showcase partners for an exclusive ramp show on March 26th. As India’s premier fashion event, Lakmé Fashion Week is the leader in promoting creative excellence and the business of fashion in India. This season’s edition will be held from 22nd March to 26th March at the Grand Hyatt, Mumbai. Reliance Trends, the largest fashion destination in the country complements the fashion week having made high-fashion apparel accessible to consumers across length and breadth of the country. The glamour quotient for the evening, besides acclaimed designers Shantanu & Nikhil, will have prominent models, film stars, corporates and some well-known people associated with fashion industry. Furthermore, Reliance Trends will have Bollywood heroine and fitness enthusiast, Bipasha Basu appearing as the showstopper in the designers’ garments, sashaying down the ramp in a way only she can. Ace duo designers collection is predominately pastel and earthy with highlights of accent colors. The show is set around the terminal, which denotes the nomadic life of a traveler – a traveler who moves around from one point to the next in search of a fun filled life. Reliance Trends, India’s largest fashion destination stores are luxuriously spread over 15000-24,000 square feet of shopping area, offering more than 100 Indian and International brands that are the best in apparel and accessories. It has been designed to offer high quality shopping experience to the Indian consumer with wide aisles, coordinated displays and highly trained fashion professionals offering best in class customer assistance. The store offers a wide array of exclusive designs for Men, Women and Kids apparel and accessories. Block your dates for Lakmé Fashion Week Summer/Resort scheduled from March 22- 26 2013 at Grand Hyatt, Mumbai. Reliance Trends houses 100 apparel & accessories brands along with own 16 brands across men, women and children categories to fulfill every customer need. Some of the most renowned brands in the country like Peter England, John Players, Oxemberg, Indigo Nation, Twills, Scullers, Lemax, Duke, In-excess, Raymond fabrics, Emporio Asha sarees, Celebration sarees, Catmoss, Gini&Jony, Baby Joy, and many more are present at the store. Reliance Trends caters not just to the Ready-to-wear consumer, but also to the large number of men and women who prefer to shop for fabric and tailor their clothes. This is possible due to the unique mix of fabric and Ready-to-Stitch brands in men’s and women’s respectively. Reliance’s own brands include, newly launched fashion brands Rio, a vibrant range of snazzy trends for young women, and Fig, fashionwear for discerning, independent & working women. Avaasa a range of Indian wear for women offers the finest collection of Salwar Kurtas, Churidars and a fast evolving Mix n Match range of garments. 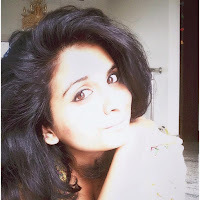 Fusion is brand with range of fusionwear for women where east meets west & style meets comfort. Hushh, the lingerie line for women offers an extensive range of innerwear and sleepwear for the discerning woman. Panda has been developed for infants and toddlers, while the Frendz range of garments would complement the wardrobes of the growing generation of boys and girls. Pureza – a collection of pure Cotton & Linen shirts for men, Network range of garments which comprises of formal office wear collection for men and women, while the Netplay range showcases a smart casual collection for the evolving workplace. The DNMX range has been developed with a clear focus on the youth of India, offering them exclusively crafted fashion garments like Denims, T shirts etc. Also, Performax, the specialized sportswear brand, which supports performance in sporting activity. Graviti, the innerwear range for men offer the best of inner and lounge wear for today’s man. 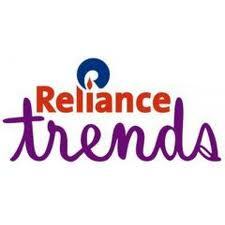 Reliance Trends was rated the most preferred department store as per the survey conducted by Which? Right Choice magazine.The survey, in which 1,917 people in 10 cities participated, revealed that relative newcomer Reliance Trends was the most preferred department store, with a customer score of 74%. It got four stars for service, in-store experience, price and product quality, and five stars for product range. IMG Reliance Pvt Ltd., is an equal joint venture between Reliance Industries Limited (RIL), India's largest and most recognized private sector company, and IMG Worldwide (IMG), the world’s leading sports marketing and management company. The joint venture company will develop, market and manage sports and entertainment in India. Its current assets include India's premier fashion event, Lakmé Fashion Week and South Asia's only ATP World Tour event, the Aircel Chennai Open. IMG Reliance has entered agreements with the Basketball Federation of India (BFI) to create a new professional basketball league and manage all aspects of the commercial rights to the game in India and the All India Football Federation (AIFF), to improve, popularize and promote the game of football throughout India, from the grassroots to the professional level. IMG Reliance has also created a scholarship program to identify and train talented young Indians from sports including - basketball, soccer and tennis-at IMG’s world-class sports training facilities at IMG Academies in Bradenton, Florida.